This article will guide you in downloading and installing the Linksys Connect Software for your Valet Hotspot. The Linksys Connect for Valet Hotspot is designed to work specifically for this utility, allowing you to take advantage of a variety of features that Linksys Connect Software offers. NOTE: This article assumes that you have access to the Internet with the computer connected straight to the modem. 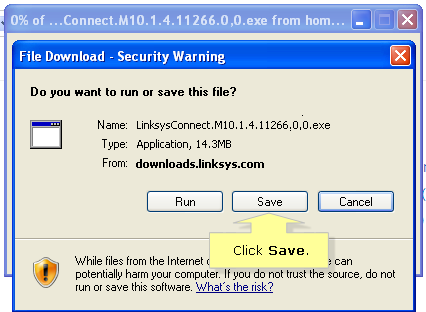 Launch a web browser and go to the Linksys Support Site. Enter the model number of your Valet device in the Search by Product Name or Model Number field and click on your device model number. Click on the Downloads navigation bar and click on the Download Software link. Alternatively, you can scroll down and click the Download Software link. QUICK TIP: The hardware version can be found along with the model number of your Valet device. If there is no version number beside the model number, it means that the device is a version 1. For more details on where to look for the model number of your device, click here. Select and click on the hardware version of your device. Click the Download link to download the firmware or driver. Once you have chosen the hardware version of your Valet device, all the available downloads for that particular model will be displayed. IMPORTANT: Download the link for your specific operating system. Click Save when the File Download prompt appears. Select a directory where you would like to save the installer. Click Save and then wait for the download to complete. 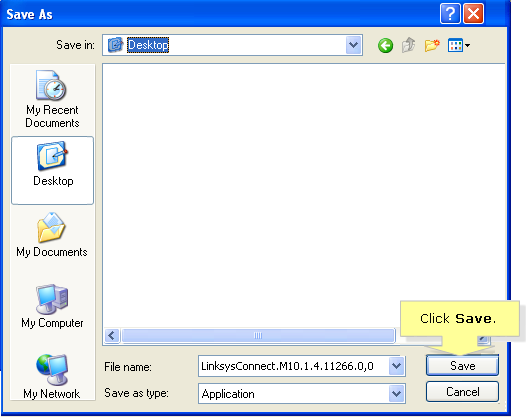 NOTE: In this example, the installer has been saved in the Desktop. Click the Run button on the Download complete window. NOTE: If this window does not appear, you will have to locate the installer in the directory you have selected earlier. 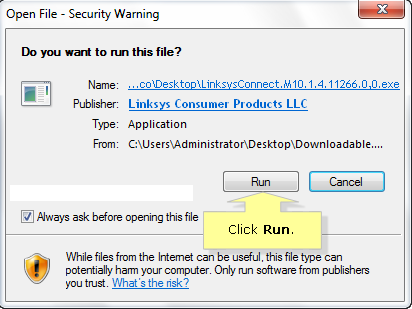 On the Open File – Security Warning window, click Run. Read the End User License Agreement then click Next. Connect the power cable and the modem to the Valet Hotspot as shown in the diagram below. Click Next. NOTE: For a detailed graphical representation on how to connect the power cable, click the Show me how button. Connect the Valet Hotspot to your computer as shown in the diagram below. Click Next when you’re done. Wait for a few minutes as the setup and configuration process starts. Once it is completed, click Next. NOTE: In case the Found New Hardware window pops up, select Ask me again later. Click OK on the Congratulations! You are now connected to the Internet prompt. 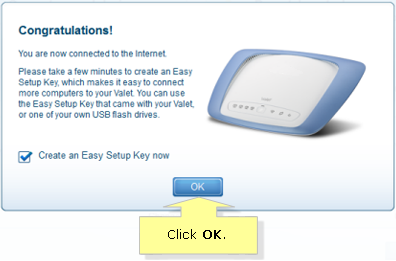 NOTE: It is recommended to create or update the Easy Setup Key that came with your Valet Hotspot right after completing the installation. This will allow you to secure your hotspot settings such as your Wireless Network Name (SSID) and password so you can easily connect other devices to your network. To know how to format, create or update your Easy Setup Key, click here. In case you do not want to create an Easy Setup Key, uncheck the Create an Easy Setup Key now option then click OK.